It's finally here! The greatest gladiator match in the history of the world! God versus Man! Night versus Day! Son of Krypton versus Bat of Gotham! One of the most anticipated films of all time has finally reached the big screen and it has certainly divided opinions. 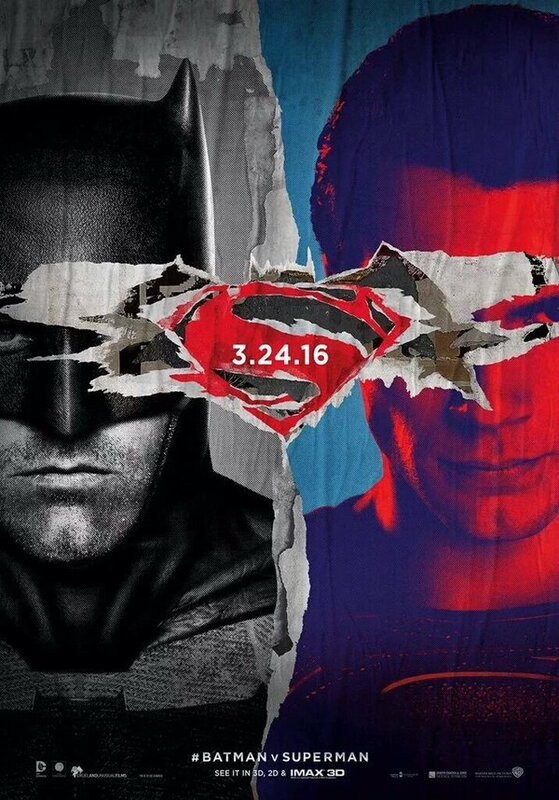 So would 'Batman v Superman: Dawn of Justice' be everything we had ever hoped for? Or would it be a colossal disappointment? This will be and in depth review and may give away plot lines or character motivations in the film. This will also be a pretty long review so you have been warned. Nearly two years after the events in Metropolis that caused huge damage to the city and introduced the world to Superman (Henry Cavill). Many people are left angry at what the Man of Steel has done and have fears about the alien. One of them being billionaire Bruce Wayne (Ben Affleck). Due to this he will don his Batman suit to take down the thought to be god for what he thinks is for the greater good. 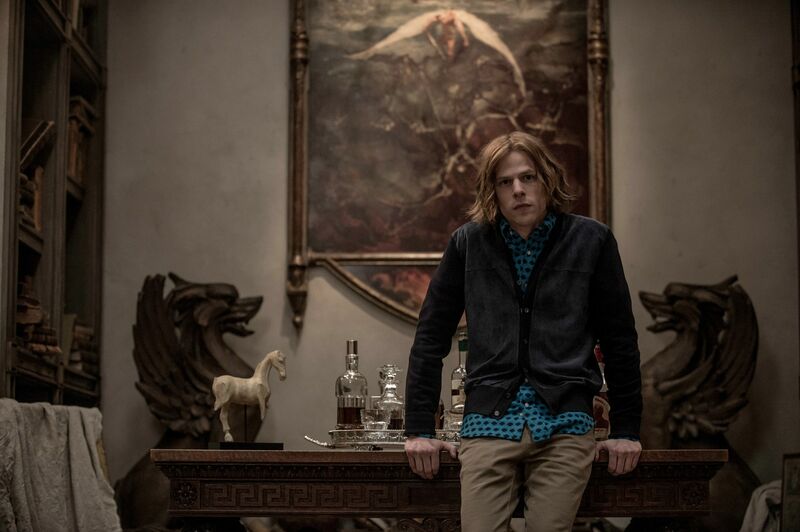 Meanwhile Lex Luthor (Jesse Eisenberg) is secretly planning something big to take Superman down as well. So the film has really divided people recently. When the critics reviews came out, they were terrible. And then they got worse. Currently on Rotten Tomatoes the film sits at 29% and has scored 2/5 from the likes of The Guardian. This followed a backlash from fans claiming everything from conspiracy theories and critics being biased against DC. Once the film came out, as expected there were a lot of fans clamouring for it and saying it was phenomenal. I'm not going to lie to you. Some of the reviews from critics for this film have been very very harsh. It doesn't deserve to be as low as it is right now. However, there is so many people blindly raving about this. This film is most definitely not great, it's not good either. I can't see at all how anyone can claim that this is anything more than average. I'm going to start by going through what I liked about the film as an attempt to get those who I've annoyed by saying it's average at best to stick around. The best thing about this film by far is Batman. Ben Affleck proved everybody who doubted him- including me- wrong with his great performance. He even could possibly be the best Bruce Wayne/Batman combo we've ever had. He was a great blend of the two characters which I wouldn't say either Keaton or Bale accomplished nearly as well as Affleck did in Dawn of Justice. Other than the fantastic performance, I thoroughly enjoyed seeing Batman use all kinds of different gadgets in this film. We seen what Batman really has in his locker and what he can call upon in terms of his gadgets. Also as someone who has played the 'Arkham' series of games, it was great to see Batman use tactics such as bursting though the ceiling to take down enemies. Also the use of making enemies obsolete by hanging them upside down or disabling their weapons was fantastic. Another thing that I enjoyed a lot about the new Batman was the fear that he brought. The use of fear and intimidation to his targets was fantastic in this film. Batman is most certainly not to be messed with in this film and will even leave you branded to let you know that he won't be letting you get away with your crimes. This Batman really is to be feared, much more than the Batman set by Christopher Nolan in the 'Dark Knight' trilogy. Overall it was great from the "Batfleck". I am 100% on board for a solo film with Ben Affleck as Batman and even possibly directing it. Jeremy Irons continued the great run of their being brilliant Alfred's in the Batman series. He was very wise as his predecessors have all been before. What I particularly liked about the character of Alfred in this film was that he was a lot more hands on in this film. It was great seeing Alfred really helping Batman in his attempts by guiding him through everything and even taking over from the aircraft the Bat was using. A much more involved Alfred was very good and I look forward to seeing more of it in hopefully a solo Batman film. The film had an abundance of other decent performances as well. Henry Cavill was fine as Superman, much like in Man of Steel. He wasn't outstanding but he was far from bad. Amy Adams again was good as Lois Lane and showed some good range throughout the film. I also enjoyed the performance of Holly Hunter as Senator Finch and liked her interactions with Lex Luthor. Laurence Fishburne was back again from 'Man of Steel' and again he was fine. There were two people I was most concerned about in this film. One I felt I was right about and was proved right to feel concerned about. We'll look at that character later on. The other I feel like with Affleck, I was surprised with. That being Gal Gadot as Wonder Woman. Now she didn't really have a massive role in most of the film and due to this at first I wasn't totally convinced by her just yet. However when she finally appeared as Wonder Woman in the finale, I was sold. Her entrance into the finale was really good and was really one of the few moments that made my hair stand up. A combination of her interfering and revealing herself alongside the 'Is she with you?' music from Hans Zimmer and Junkie XL's score was magnificent. Seeing Wonder Woman in action was fantastic and I feel Gadot did really well with the time that she got. We all knew that this film was going to be visually pleasing and it does not disappoint. The cities are incredibly impressive as does the new Batcave. The film succeeded very well in making the settings look truly incredible. The action also looks fantastic in this film, much like it did in Man of Steel. It is well known with director Zack Snyder that he is more than capable of making a visually stunning film and this film has followed in the footsteps of the likes of '300' and 'Man of Steel'. The fight scenes in this film all look fantastic and the CGI works very well. Ok so now is when I dig into the negatives. Just for the record, I wasn't paid to write bad things about this movie. I am not a DC "hater". I wanted this movie to be great like everybody else. It hurts that this movie had so many problems and they cannot be ignored. The film has some serious pacing problems. The first half of this movie was so drab with a sprinkle of action thrown into it. The first hour to me was really quite boring and they tried to make it a bit more lively by throwing some nightmare scenes into the film. These felt really out of place and seemed just as attempts to try keep the audience satisfied whilst nothing was really happening. The first half really didn't deliver for me. To be fair maybe this was due to wanting it to move on quicker and get to the real confrontations. At 2 hours and 30 minutes, the film is very long and due to the lack of life in the film, especially in the first half, you really feel it. I have no problem with movies being this long but if it is not interesting enough to last it, it is a problem. As a lot of the first half was building up to the big fight, the notions of the characters really aren't that good. Despite Alfred telling him, Batman is 100% certain that Batman has to be taken out. Superman stops Batman from pursuing some enemies for some bizarre reason rather than helping and showing the good in him. Instead he makes relations worse when it easily could've been solved there and then. You'd think that these two highly intelligent men would be able to see this out through this especially with Batman seeing Luthors shady dealings. And lets get started on Lex Luthor. What does he want? Superman dead. Why? Who knows. It;s never made clear to why he wants the Man of Steel gone forever. His motives altogether are questionable. With the introduction of Doomsday to try kill Superman, what does he expect to happen in the aftermath of it? Doomsday can't be controlled. The city is going to be completely destroyed regardless. It's going to be made clear that Luthor was behind all of this. What did he really expect to happen in this? A very flawed motive that doesn't really make any sense at all. 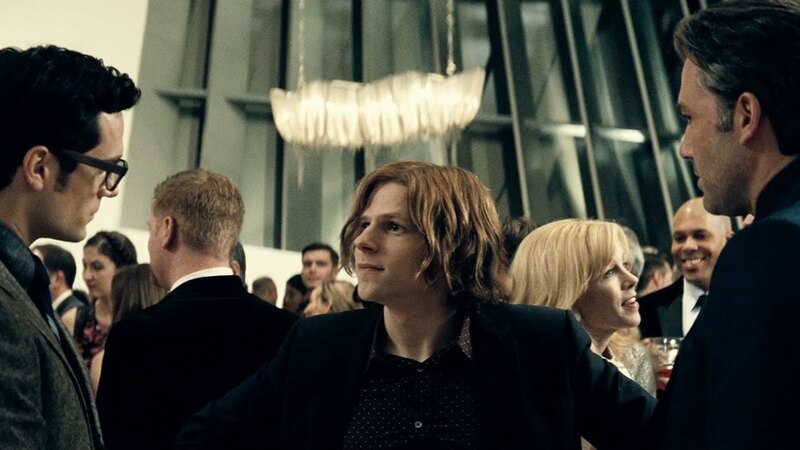 Jesse Eisenberg as Lex Luthor was what I expected from him. The stuttering, awkward performance that Eisenberg is known for combined with a twitch of sorts didn't make for a good Lex Luthor. He was ridiculous in this and not to good effect at all. If you were worried about Eisenberg's performance beforehand you will see it pan out in this film. Eisenberg was much more like The Riddler or even The Joker in this film but that;s not a good thing. He isn't remotely intimidating nor is his power. For the main villain in such a huge film like this, he was very poor when a true unstoppable, powerful maniac was desperately needed. A combination of the bad writing of the character and the way they took him with Eisenbergs usual performance made for a ridiculous character. The film also has so many plot holes in it. They continue the story with many actions that don't make sense other than solely for the story to continue. For example, Lex has to use Zod's fingerprints to get in the left over ship that nobody in the past two years has decided to do anything about. Instead of just taking the body to the recognition point or even just cutting his hand off to use, he closely and precisely slices small strands around his fingers and uses them. Once he gets in there is this fully intelligent robot there to serve. Why didn't this recognise that it wasn't Zod and then shut down? Only to progress the story is why. Also how in a dream, Batman is given vital information by the Flash on how to get to Superman. This was very bizarre and wasn't really followed up or anything. Also the incident in Africa that gets Superman into trouble doesn't make sense either. You really think Superman would use bullets to take out enemies when he clearly wouldn't need to due to his abilities. The use of bullets should of saw the case closed. Also Bruce Wayne has a problem with Superman due to the destruction he caused. I guess its fine when he does it himself though as we see many times throughout the movie. Far too much happens in this film just to continue the film without it making much sense. The reason in the main fight for it concluding is absolutely laughable. Once you see it, it won't even make sense to why this happens. Obviously I won't give anything away in this review so you have a chance to see it unspoiled. Many parts of the story don't make sense at all and is really baffling at times. The use of Lois Lane in this film was very baffling too. They kept on throwing her into the last act just to keep her relevant when her actions were really odd. At the end she spends a lot of time with a Kryptonite spear with at least three different scenarios involving it. 1; Throwing it away. 2; Trying to retrieve it. 3: Getting rescued whilst getting the spear. She wouldn't even know that it was needed either so that adds to the list of things that don't make sense. The film didn't know what to do with Lois and it was clear to see that. Thankfully, Amy Adams performance was good enough or it would have been a total disaster. There is literally no progression from Superman in this film since Man of Steel. He;s just the exact same as before and doesn't allow Cavill to show anything new or show more range in the film. Due to this, we don't really get that emotional feeling to Superman. Most likely, unless you're a comic book fan you won't have that attachment to the character. The movie doesn't do its job in making you feel for him in the moments that look to draw emotion. When he's in need, you don't care because they haven't bothered to make the character more interesting or even make you like him more. I have one criticism about Batman despite him being the focal point at most things that I liked. Throughout the 'Dark Knight' trilogy, it is made clear that Batman goes out of his way to not kill people. Batman won't even kill the Joker in the 'Dark Knight' trilogy and he even states "no killing". Now I know that it is not the same as it was under Christopher Nolan. However it should of at least been acknowledged or explained to why Batman is a remorseless killer in this film. He kills so many people using explosives, the batmobile and even shooting his batclaw right through an enemy. The Batman in this film would run the Joker over until he made sure he was dead. To many people they know of the Batman having this moral but it was just thrown out of the window for this film. An explanation to this would have done fine but we were deprived of it. The big fight was disappointing. The clash that we looked so forward to me really didn't deliver. It was fine but not great. I was really looking forward to Batman and Superman trading blows one after another to each other but that's not what happened. Somebody always had the upper hand rather than it being 50/50 throughout the brawl. It would've been so much better seeing the pair continuously brawling with each other and not knowing who would come out on top at the end of the scrap. Due to someone always being on top, it slowed the fight right down and drawed it out for longer. The way the film squeezes the remaining members of the Justice League in is embarrassingly bad. I can't believe that the writers- who will be on huge pay-cheques- couldn't come up with a better way to introduce these characters. They used a f*****g email to fit the Flash, Cyborg and Aquaman cameos in. I'm baffled that this is what the writers came up with. It is incredibly lazy and is so rushed. By this alone, it shows how much DC are wanting to be like Marvel as they try to fit all these characters in as quickly as possible and with little to no explanation. Some impressive visuals and a fantastic Batman doesn't defeat the fact that the story is so flawed. The pacing is a huge problem and it is clear that DC have tried to catch up with their competitors as quick as possible and it fails. It's not as bad as some will say but it is most definitely not anything more than average. This should've been a historical moment for cinema as two beloved characters came together. However it will just be a what could of been. Well that was a long one. So if you have seen Batman v Superman what did you think? Once again thank you for taking the time to read this rather lengthy review, it is much appreciated!